This post contains affiliate links. For more information please read my disclosure. Acne is a common condition that has adversely affected many people in their lives regardless of their age. Apart from affecting your skin, it can greatly affect your self-esteem and confidence. People with acne have been known to suffer emotional, psychological and social ramifications. Acne treatment can be expensive for some people and even more as expensive if it becomes resistant to medication. It can also have accompanying side effects such as skin dryness and irritation. To prevent all these issues from occurring, try some of these natural home remedies to get rid of acne. Give these natural remedies a try and see if they help with your acne, all these ingredients are most likely things you already have in your kitchen cupboards. or pantry. Perhaps you have come across many uses of apple cider vinegar in cooking, in a chicken coop, or in its medicinal value. Apple Cider Vinegar (ACV) is natural and is made by fermenting pressed apple juice. Apple cider vinegar has the ability to kill bacteria and viruses due to its acidic nature. Studies have shown that succinic acid in this vinegar has the ability to suppress P. acne which is known to cause scarring. Mix apple cider vinegar with water in a ratio of 1 to 3. Apply to the affected area and wait for about 10 minutes and rinse your face with copious water. Do this twice a day, in the morning and when going to bed and you’ll see changes. Honey and cinnamon have an antibacterial property and ability to reduce inflammation which causes acne. This blend is more preventive than cure and is the solution to acne prone skin. Mix honey with cinnamon in a 2 to 1 proportion respectively and stir well to form a paste. Apply the paste and wait for 10 minutes. Wash it with plain water and wipe your face dry. For generations, tea tree oil has been a natural remedy for acne and other skin conditions. It is known for its ability to break and clean clogged pores reducing skin inflammations which in turn trigger acne. It is also known for clearing dead skin cells. Mix tea tree oil with water in a ratio of 1:7 and apply to the affected area using cotton balls. Wait for 30 minutes then wash and rinse with water. It is a natural antibacterial juice capable of killing harmful bacteria on the skin. Wash and cut a lemon into half then squeeze the juice into a bowl. Apply using a cotton ball and wait for about an hour. Rinse your face with clean water. Garlic has many health benefits and has antibacterial properties either when eaten or applied to the skin. The bulb can also be used as an antioxidant, is effective in purging toxins from your skin. Crush garlic and apply it on freshly cleaned affected areas. Wait for 30 minutes and clean it with plentiful water. If the ones listed above do not work for you, don’t despair, here are some other you should try. Aspirin: mash aspirin in a little water and apply the paste. Green tea: as a daily face wash.
Echinacea tea: as a daily face wash.
Omega-3 fatty acids: take a fish oil capsule or add salmon, flaxseeds, or walnuts to your diet. Cleanse in the morning and evening with a cleanser formulated for acne. Moisturise with a light gel-based moisturizer. Gently exfoliate your skin once a week. Don’t squeeze, pick or scratch spots. 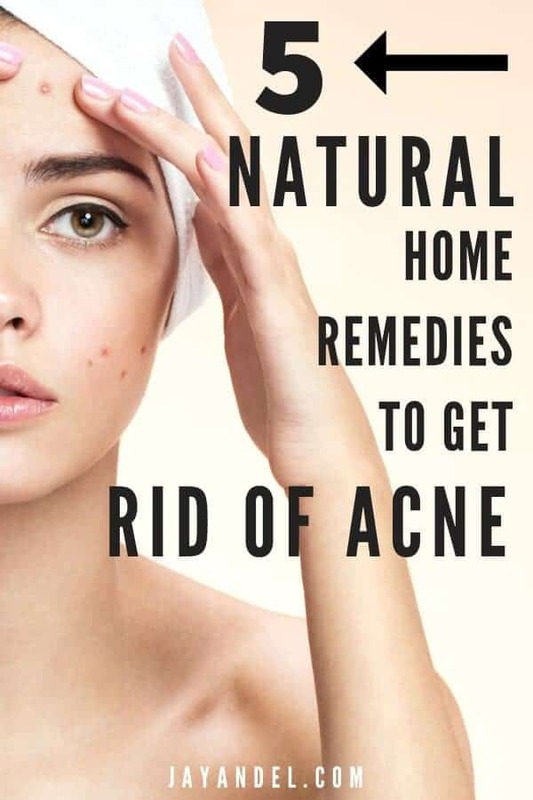 If you found these natural acne remedies helpful, please share them on Pinterest! And if you’re looking for more tips and tricks to keep your skin looking gorgeous year-round, please follow our Great Skin board! Vickie Louise is a stay at home mom of a little boy with a big personality. After having her son, she realized how important it is for moms to take care of themselves physically and mentally. Her passions include fitness, healthy living, minimalism, and being the best mom possible.